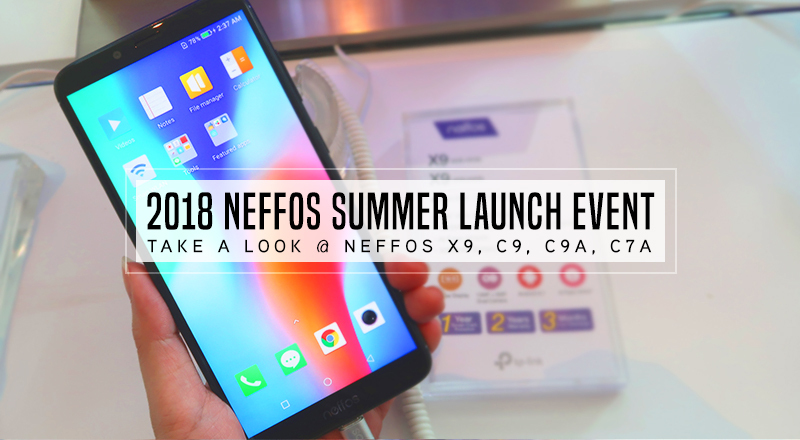 2018 Neffos Summer Launch event | C A N D A C E .
Are you looking for an affordable sleek-looking designed phone that takes good photos? I gotchu covered! 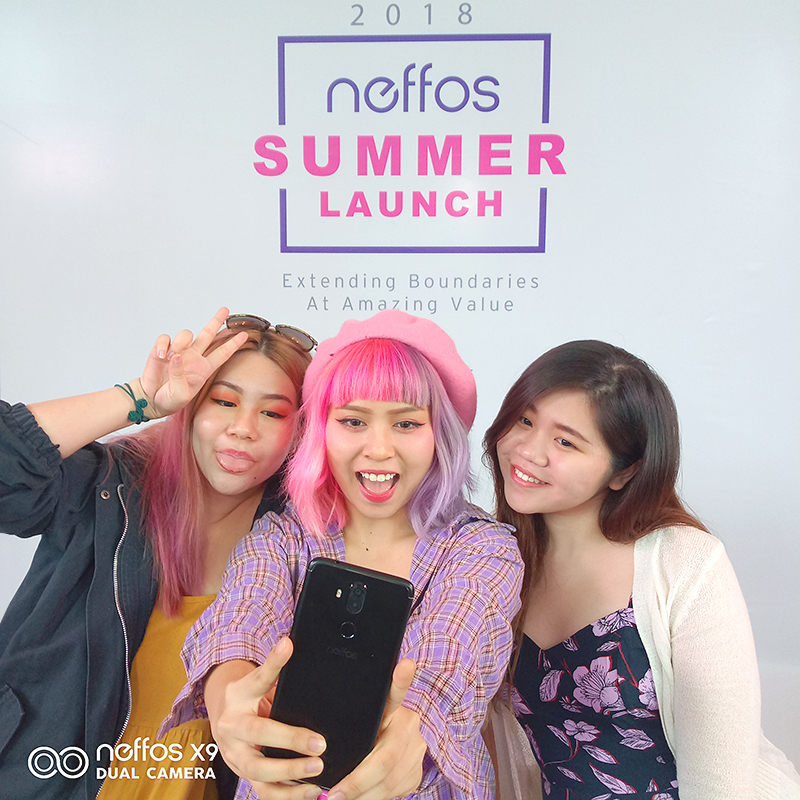 The other day I was at Bangsar attending Neffos' Summer launch event. 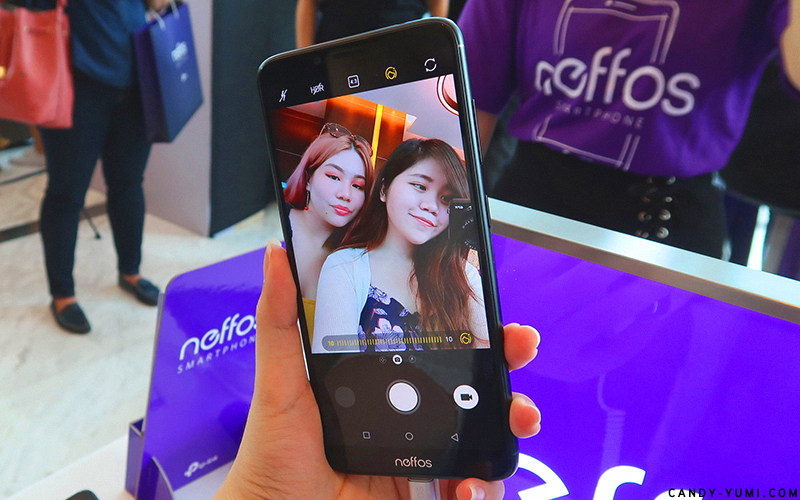 During the event Neffos has unveiled 4 new smartphones complete with a Full View Display, a larger battery capacity, Arcsoft registered photography capabilities and latest dual-band Wi-Fi technology. If you're interested to see what new products Neffos has to offer, do keep reading! 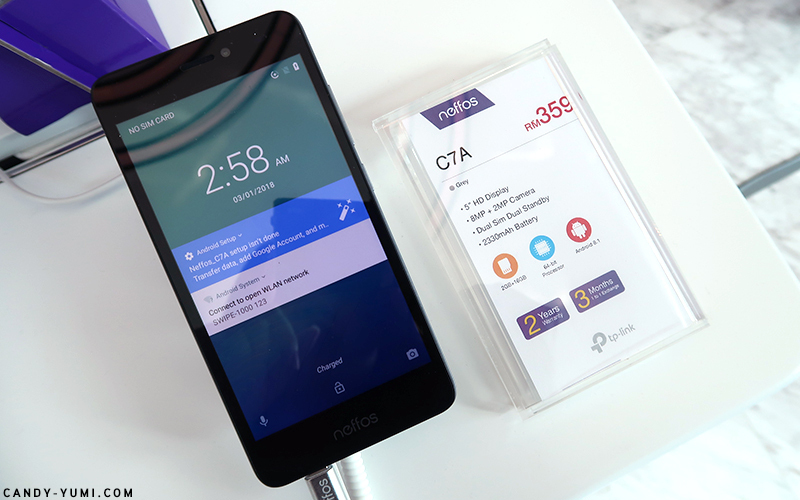 For those whom has never heard of the brand, Neffos is a smartphone brand by TP-Link. 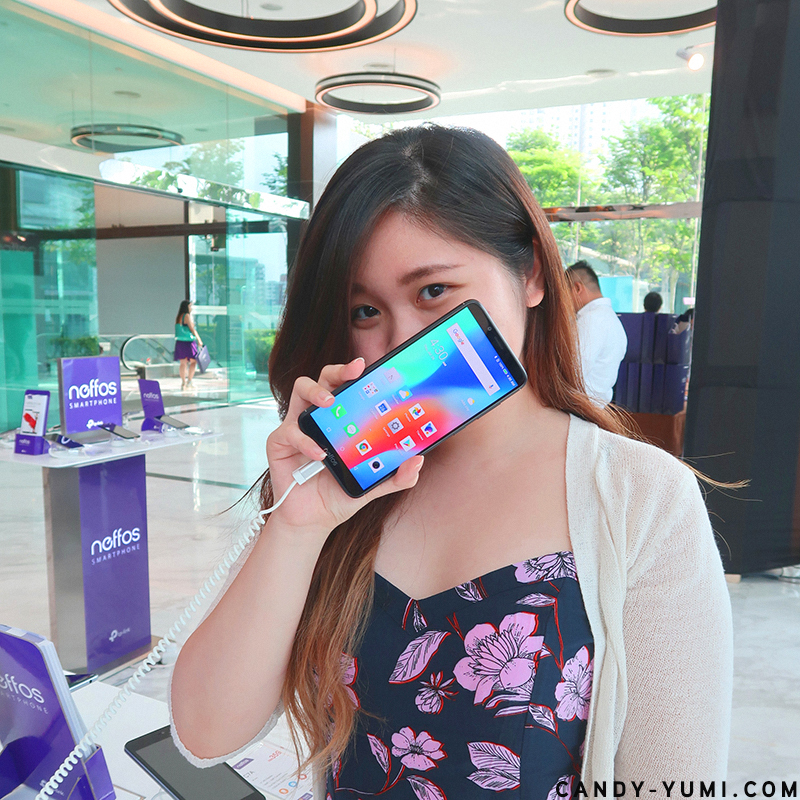 Personally I've heard of Neffos but I've not actually seen their phones until I attended their launch the other day. As for TP-Link, they're a global provider for home and business networking products. During the launch they've showed us 4 new Neffos smartphones - Neffos X9, C9, C9A, and C7A as well as the new TP-Link Smart Home Mesh Wi-Fi System - the Deco M9 Plus. Before unveiling the smartphones, there was a pretty cool intro performance to get the crowd hyped up for the launch. If you've followed my insta-stories you've probably seen more of the intro, but let's hop straight into the phones alright? 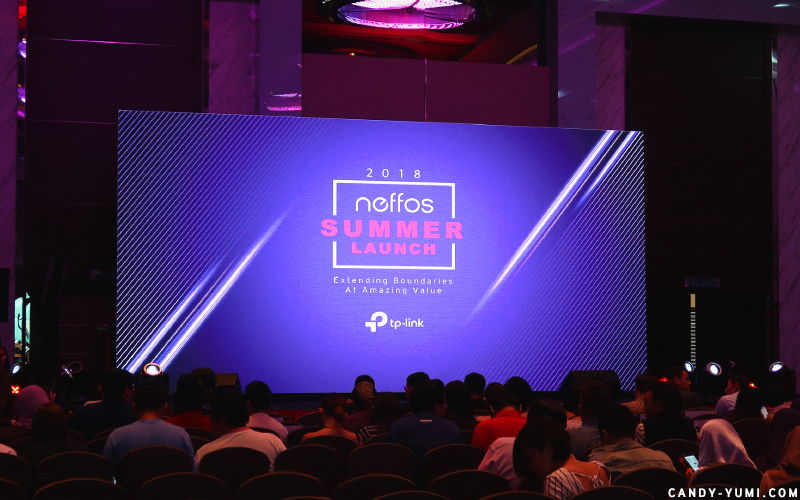 So this summer launch event unveils the Neffos X9, C9, C9A, and C7A. I'm not going to bore you with all the specs of each phone, listing all that is going to take forever, what I would do is share what I know about these phones and what specs I would personally look at like any other not-very-techy-consumer shopping for a new phone. If you are looking to see what specs each phone has to offer, I'll also be including the links to each phone's full specs from the Neffos website. This is probably my favourite out of the 4 smartphones I saw at the event. 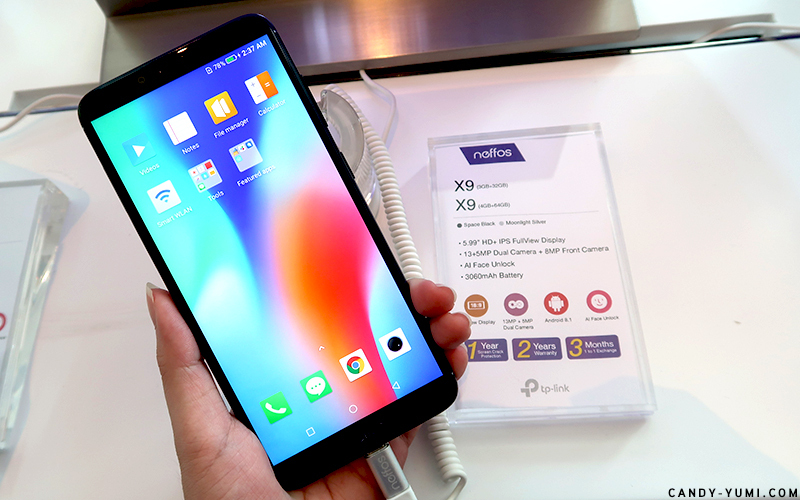 The Neffos X9 has 2 variants available - 3GB RAM + 32GB internal storage retails for RM599 while the 4GB RAM + 64GB internal storage retails for RM799. The 3GB+32GB version is already available in stores but the 4GB+64GB version will only be available for purchase by the end of August. The X9 is available in two colours space black and moonlight silver (above is space black). Some of it's highlights include a full-view display on the front [ 5.99 inches, HD+(1440 x 720) ], dual camera, 3060mAh battery, fingerprint censor, as well as a face unlock function. From the looks of it, the display was vibrant and especially for it's retail price, the touch and feel of the phone felt pretty sturdy! While a lot of electronics are promoting lightweight, I still prefer my phone to have some weight to it. Performance wise the phone didn't feel laggy at all while I swiped around the screen. Though if you want my opinions on how the phone performs when it comes to playing moba games, I won't be able to do so unless I actually downloaded a moba game to play on it. 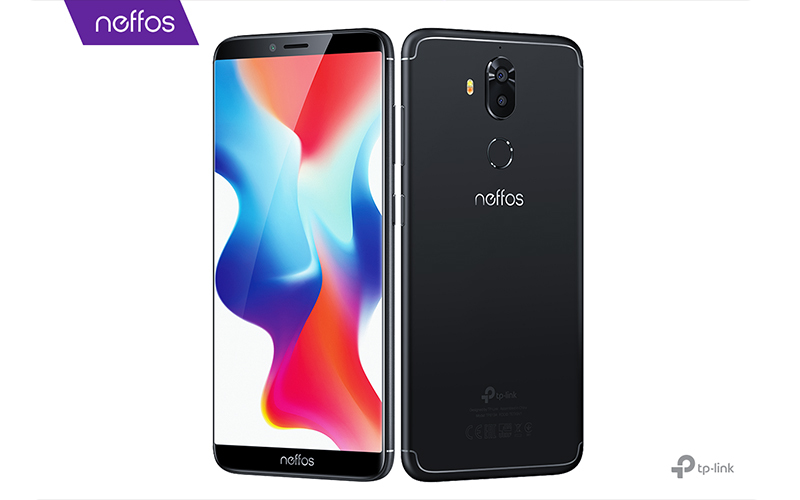 If you want to check out the processor along with the full specs of the Neffos X9 it is available here on the Neffos website! I am however able to give my two cents on the phone's camera though! This photo was taken using the Neffos X9's back camera(13 Mega-pixel+5 Mega-pixel dual camera). When it comes to phones, despite having a good camera, I'm still really particular when it comes to phone cameras. If I did not see it for myself, I probably would've never believed that a phone at such an affordable price could capture a photo of this quality! The photo above is straight out of the camera, un-edited, un-cropped, and the quality looked great! The photo was clear and the colour was great too! These are times where the photo really speaks for itself. I never let a RAW photo go onto my instagram unedited (even photos taken on my iphone ok!) so here's the exact same photo after retouching haha. Okay the back camera wow-ed me but surprisingly the front camera wow-ed me even more?? Their front camera has 8 mega-pixels and like most android phones it has a beauty function to it. I know most people would adore the beauty function but I've always hated beauty cameras because the beauty effect was always too much even at it's minimum. This X9 on the other hand would slim my face, smoothen my face, hide all my acne and still make me look human. The photo above explains it all so good job on that Neffos! Another pro to their front camera is their 86 degree wide angle lens which allows you to capture a wider image than most front cameras!! This was a big thumbs up because even with my short arm all stretched out, my face would still take up most of the screen, this time I could even fit my friend Sylvia in the photo without having me look too gigantic!! After just seeing how the camera performed you must be a little curious to find out more about the phone now. If you are, you can find out more about the Neffos X9 on their website HERE. 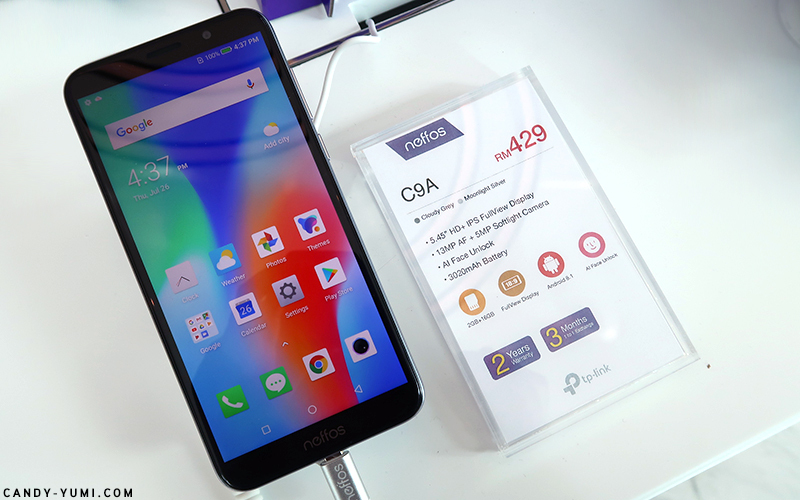 The next phone to grace the Neffos summer launch event was the Neffos C9 retailing for RM479. This phone features a 13 Mega-pixel back camera and an 8 mega-pixel softlight front camera. The C9 comes in two colours - cloudy grey and moonlight silver. It has 2GB RAM and 16GB internal storage. As for the display it's the same as the Neffos X9 [ 5.99 inches, HD+(1440 x 720) ]. 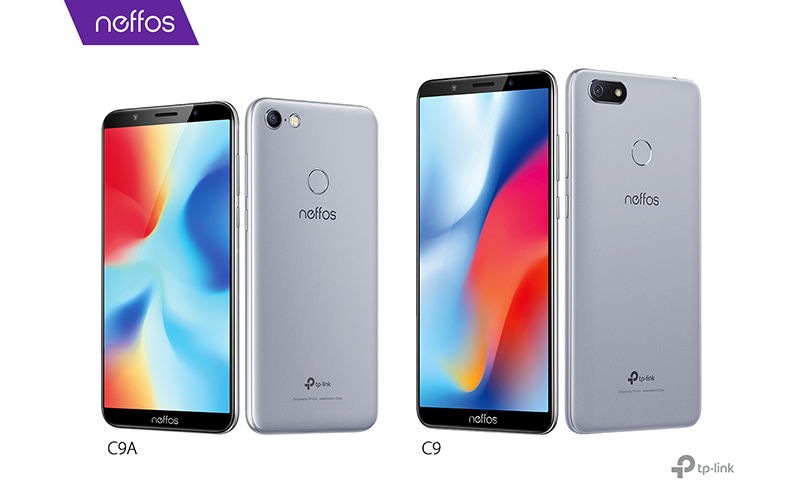 Following on, the Neffos C9A(RM429) is slightly cheaper than the Neffos C9. The differences between the two in mainly on the phone size, battery, and the front camera. The C9A is slightly smaller than the C9, you can see the size difference on the next picture below. As for the battery, the C9 features a 3840mAh battery while the C9A features a 3020mAh battery. Apart from that, while the C9 has an 8 Mega-pixel front softlight camera, the C9A has a 5 Mega-pixel front softlight camera. Here's a size comparison between the two. 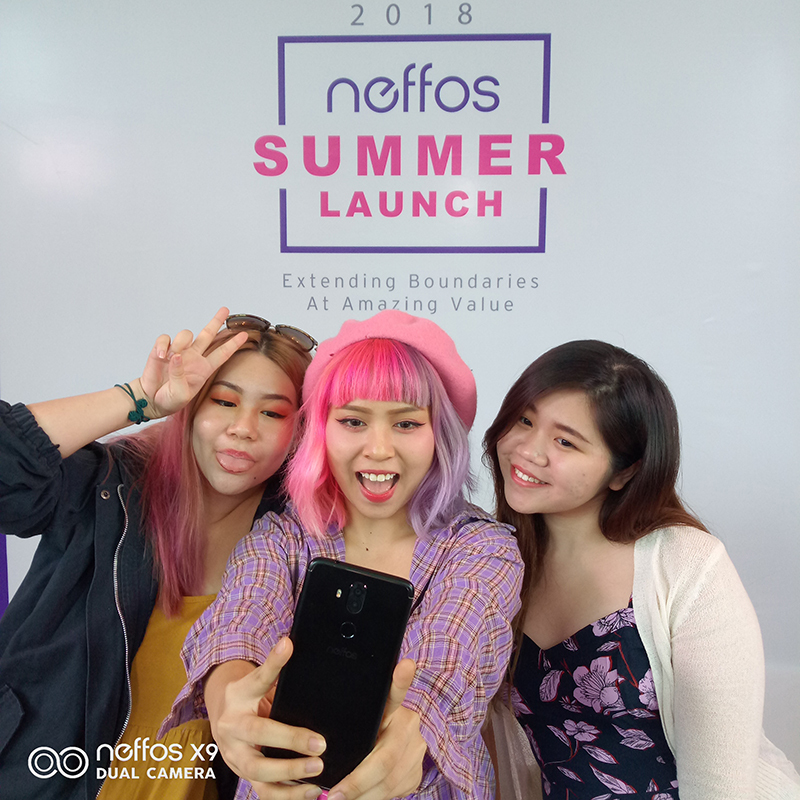 From the softlight camera feature, you can already tell that the Neffos C9 and C9A were meant for selfie lovers. With this said, in case you're wondering why my favourite out of the 4 was the Neffos X9 and not the C9 is because while I like taking selfies, I personally prefer the Neffos X9 simply because it comes with slightly more RAM and internal storage compared to the C9. It's a personal preference because I think the Neffos X9's camera is already that good, I'd prefer to have more RAM and storage in my phone even though when it comes to android phones, there is an option for external memory. Plus, I like how space black looks! Last but not least we have the Neffos C7A retailing for RM359. 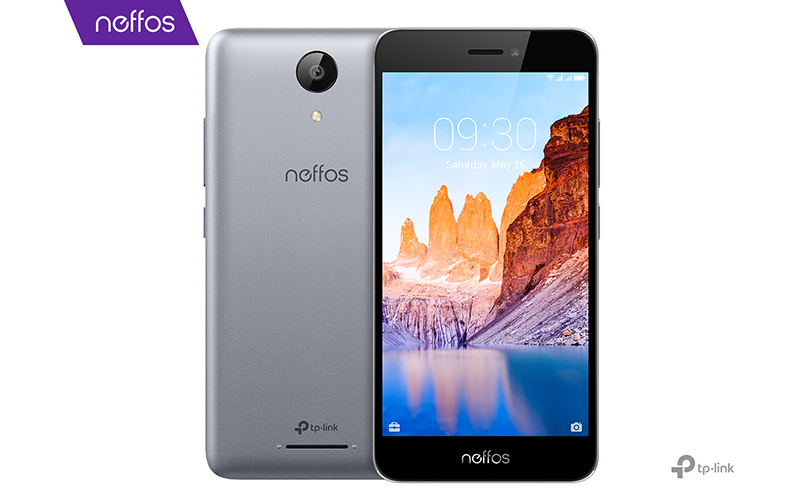 The Neffos C7A was launched as a budget friendly smartphone without compromising on it's specs. The phone is powered by a 64-bit, quad-core processor along with 2GB RAM and 16GB internal storage. For that price point, it also comes with an 8 Mega-pixel back camera. The front camera is 2 megapixels and has an f/2.2 aperture lens. At the moment the Neffos C7A is only available in grey. 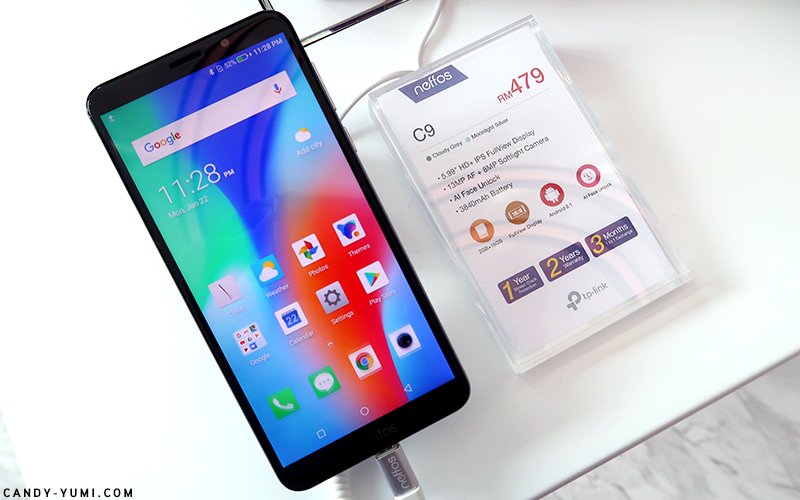 While I guess for selfies this phone may not be the best in the market, but if you're looking for an entry-level smartphone at an affordable price point, you can definitely consider the Neffos C7A. Full specs of Neffos C7A can be found here! Overall I think if you're in search for an affordable android smartphone with decent specs for everyday use, these new releases from Neffos are pretty good choices to consider. In the end the Neffos X9 would still personally be my best pick out of the 4 because it has more ram and internal storage, space black looks great too, and more importantly the camera quality for that price point really surprised me. Thank you for reading and until next time! !